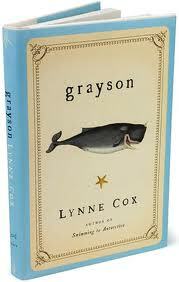 Grayson is a book by long-distance swimmer Lynne Cox about her encounter with a baby whale and her adventure guiding it back to sea. I came to read it because I’ve been taking my nine-year-old daughter on occasional early-morning swims. If you wish to compose an e-mail, index a database of web pages, stream a kitten video in 720p or render an explosion at 60 frames per second, you must first build a computer. 1954: IBM builds the first calculating machine to use solid-state transistors instead of vacuum tubes.